A while ago it was detected that there was a potential for the Clinical Visit Summaries (CVS) to print in error for the wrong patient. The Electronic Medical Record (EMR) team is presently working with Compliance and Legal to identify patients affected by this EMR error. In the meantime we would like to ask that you no longer print CVS when a patient is being discharged from clinic. 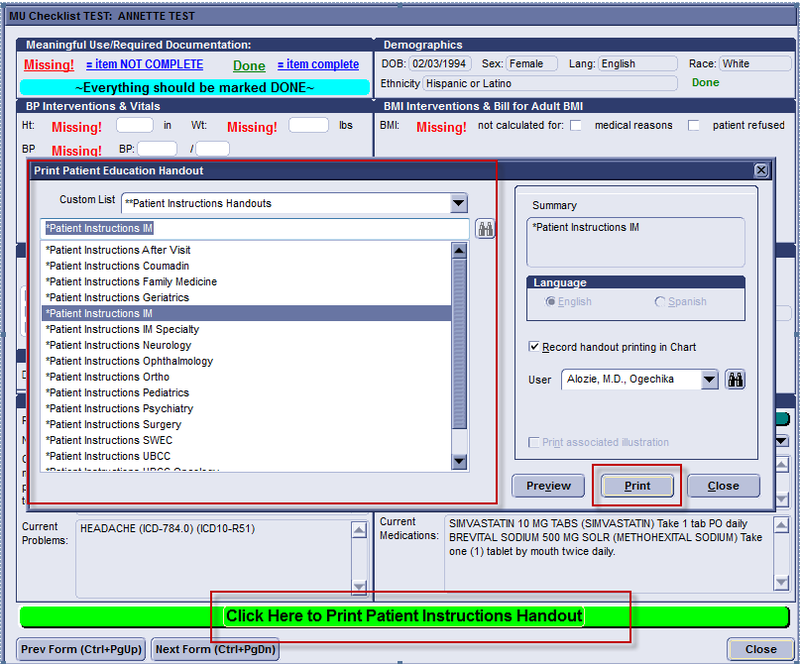 Instead this may be an opportunity to add a variety of Patient Instructions found in the EMR (see snapshot below). Once this error is rectified EMR will be sending out another update, as well as giving instructions to clinical staff members. We hope to have this rectified by February 1, 2015. Meaningful use in 2014 had a number of barriers. I would like to thank all providers, administrators and clinical staff members for their flexibility in adapting to the vagaries of Health IT as we continue to negotiate these changing times. I would also like to congratulate the organization as a whole for an excellent performance for MU in 2014. As of today we have attested for approximately 85% of eligible providers! Over the next few months, I will send out updates regarding initiatives within the Clinical Informatics field that will affect your clinical practice. I would encourage all providers that use the EMR to please take a few minutes to take the Faculty EMR Satisfaction Survey. This will help us immensely in long term optimization and planning. 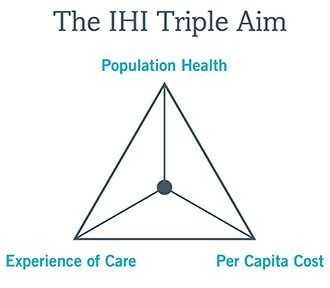 We shall continue to use the Triple Aim (see graphic below) as our goal in any changes or improvements that is made within EMR. I appreciate your patience in these electronically trying times.